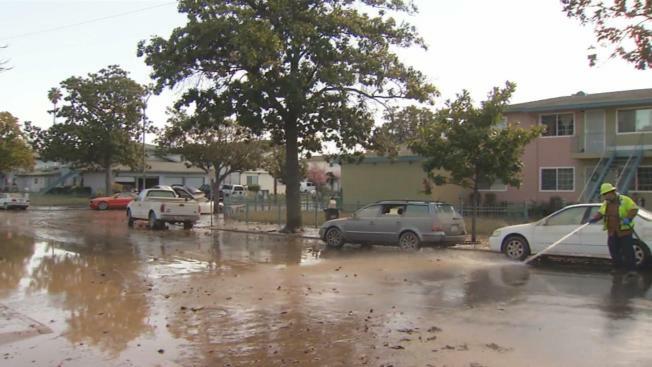 San Jose city officials are being grilled about what caused the worst flooding the city has experienced in over 100 years and why measures weren’t in place to avoid such a disaster. Some residents pointed out that the Guadalupe River got extensive, and expensive, flood control improvements following the floods of 1997. When parts of downtown San Jose were inundated with water, the Santa Clara Valley Water District poured hundreds of millions of dollars into flood control along that waterway. But Coyote Creek got no improvements south of Interstate 280. The water district says it tried to work on projects to protect these flooded neighborhoods, but the Army Corps of Engineers turned them down. “The water district was told it is not a large enough project to qualify for federal funds,” said Gina Adriano with the water district. And the city said it couldn’t afford a half-billion dollar flood control project on its own. Concerned councilman Tam Nguyen on Thursday asked landlords to provide three months of free rent to victims of the floods in his working-class Latino and Asian district where 350 homes were flooded. But residents have another point of contention: Why did the Coyote Creek flood catch the city by surprise despite the knowledge that the Anderson Reservoir had begun spilling over on Saturday? That review should begin at City Hall within the next few days. The City Council is expected to ratify a local emergency declaration at a meeting Tuesday. For now, people who live on Rock Springs Drive hope officials are struck by images showing the similarity between the 1997 flood as well as the one that uprooted 14,000 people this week. Two catastrophic floods in two decades means it’s time to get to work, they said.